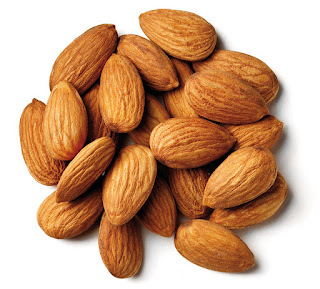 "Almonds are a good source of plant protein -- essential fatty acids, vitamin E and magnesium," said one of the researchers Alyssa Burns from University of Florida in the US.For the 14-week study, the scientists gave almonds daily to 29 pairs of parents and children. Most of the adults were mothers with an average age of 35, while their children were between three and six years of age.The children were encouraged to consume 14 grams of almond butter daily and parents were given 14 grams of almonds per day.An online dietary recall was used to find out what adults had eaten and how much. That way, researchers could measure diet quality.The scientists based their conclusions about improved dietary intake on participants' scores on the Healthy Eating Index (HEI), a tool used to measure diet quality and adherence to the 2010 Dietary Guidelines for Americans.The results indicated that when parents and children were eating almonds, their HEI increased for total protein foods, seafood and plant proteins and fatty acids, while they ate fewer empty calories. For all components, a higher score indicates higher diet quality. When parents and children ate almonds, their HEI score increased from 53.7 to 61.4.Parents and children consumed more vitamin E and magnesium when eating almonds, Burns noted.The study was published in the journal Nutrition Research.